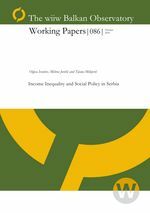 Using 2006-2009 HBS data, we study poverty and inequality in Serbia and compare income-group impacts of different social policy programmes. Methodological innovations of the paper are: testing validity of OECD equivalence scale by HAC procedure and replacing it with per capita measurements, use of quantile regression and recursive estimation in defining income groups with specific responses, and testing group effects (partitioned coefficients) of policy programmes in the frame of panel methodology. The confirmed hypotheses are: income inequality is decreasing as a consequence of social policy measures, except for in the last observed year, but these effects vary in different income-groups.